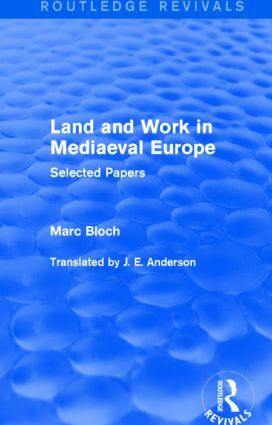 Land and Work in Mediaeval Europe was first published in English in 1967. Throughout the work, the idea that Marc Bloch was not only a historian but a great teacher is exemplified, as is his ability to ask interesting and original questions through his writing. Topics covered include medieval Germany, technical problems in the medieval economy and society, and the medieval class structure.